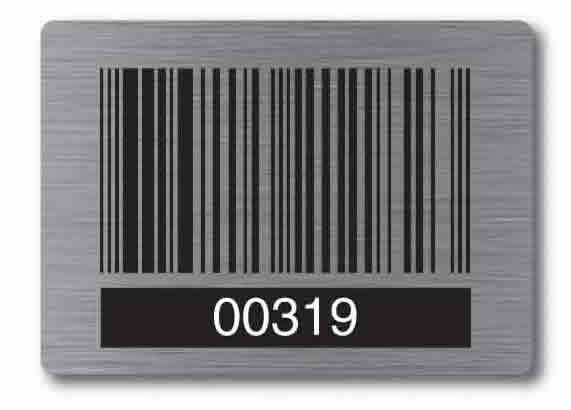 By making use of a photographic process, we are able to supply anodized aluminium labels that are corrosion- and abrasion resistant with excellent wear properties. Aluminium is more robust than alternative materials such as paper and plastic and the printed image is protected by a sealed surface, which protects it from scratching and other damage. Labels can be made in various colours and can also be done in full colour. The label can then be finished off with a peel-off adhesive, acetone activated adhesive or holes can be punched so that it can be applied to the desired substrate with rivets.